Mark your calendar for a signature event to see fall colors, enjoy festival food or to experience theme parks transformed into special attractions. From first-time festivals to annual favorites, lively events fill the fall calendar in North Carolina. Show-stopping foliage, spirited music, and irresistible fare add color and texture to celebrations from the mountains to the coast. Travel back in time to 1939 to the world of "Oz" high atop Beech Mountain at the Land of Oz park. Children and adults alike will be enchanted during Autumn at Oz as they experience the re-creation of Dorothy’s trip from her farm home in Kansas through the twister and down the yellow brick road. Along your journey you’ll meet a full cast portraying vibrant characters similar to those in the movie. Carowinds is transformed from a “theme park” to a “scream park” as the largest Halloween-themed event in the Carolinas. Experience the thrills on your favorite roller coasters and scream at the chills of haunted shows and attractions. 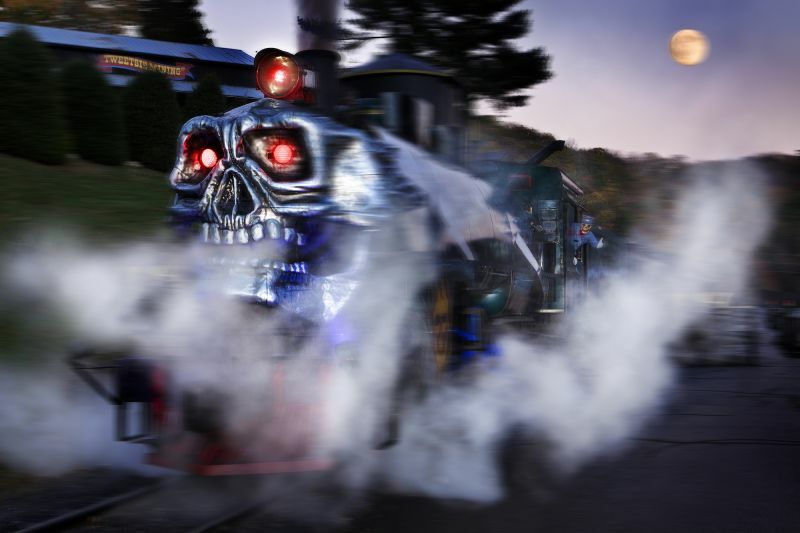 Guests of all ages will enjoy spooktacular family fun at the park, and brave Ghost Train riders will experience frights and delights around every corner as the train howls its way through the Blue Ridge Mountains. While some attractions are recommended for adults and older children, there are plenty of shows and activities for Tweetsie’s youngest guests, too. The highlight of this annual festival is the Great Pumpkin Weigh-Off, in which farmers from across the East Coast bring their largest pumpkins to compete for a $1,000 cash prize. The 2014 winner was a 1,404-pound behemoth that set a new North Carolina state record. Attendees will also enjoy carnival rides for children, arts and crafts vendors, antique vendors, pumpkin-themed food, drinks and games. 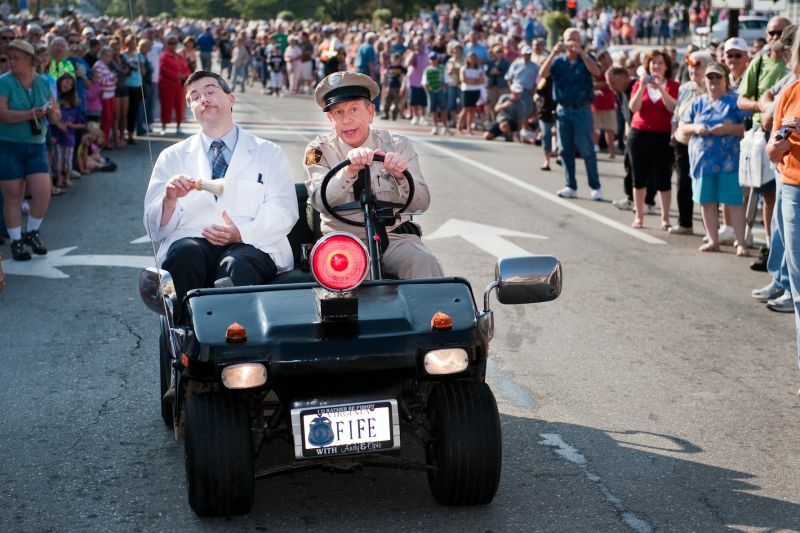 Actually, every day is a Mayberry day in Mount Airy, Andy Griffith’s hometown and inspiration for The Andy Griffith Show setting. But this weeklong celebration is when you can see Thelma Lou (Betty Lynn) and others associated with the show and channel the era with a checkers tournament, pork chop-eating and apple-peeling contests, trivia competitions and horseshoes, plus entertainment and a parade. North Carolina’s second-largest agricultural fair celebrates 134 years of fun, food and competition this fall. The annual event features thrilling carnival rides and booths, more than 100 food concessionaires (with plenty of deep-fried fare), a children’s barnyard zoo, concerts, agriculture, and food and crafts competitions. See the state in all its fall glory on this scenic ride from the western part of the state to the eastern end. 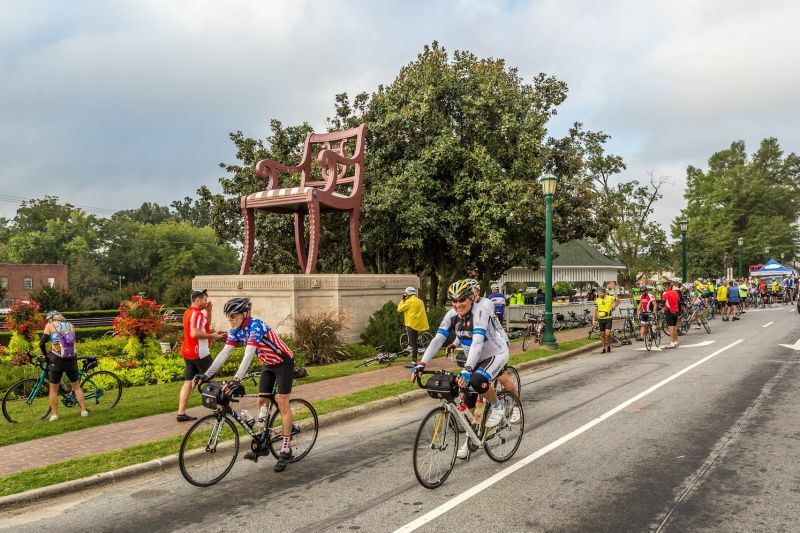 Riders can go the more than 400-mile distance or join in at the host towns of Black Mountain, Morganton, Mooresville, Archdale, Southern Pines, Dunn, Elizabethtown and Oak Island. Daily rides average 65 to 75 miles. Taking place on weekends for several weeks, this festival is a 16th-century, European-style art and entertainment event series combining outdoor theater, circus entertainment, a marketplace, jousting tournament and a feast fit for royalty. It's fun for all ages. This free, one-day arts and crafts festival is among the largest in the Southeast. 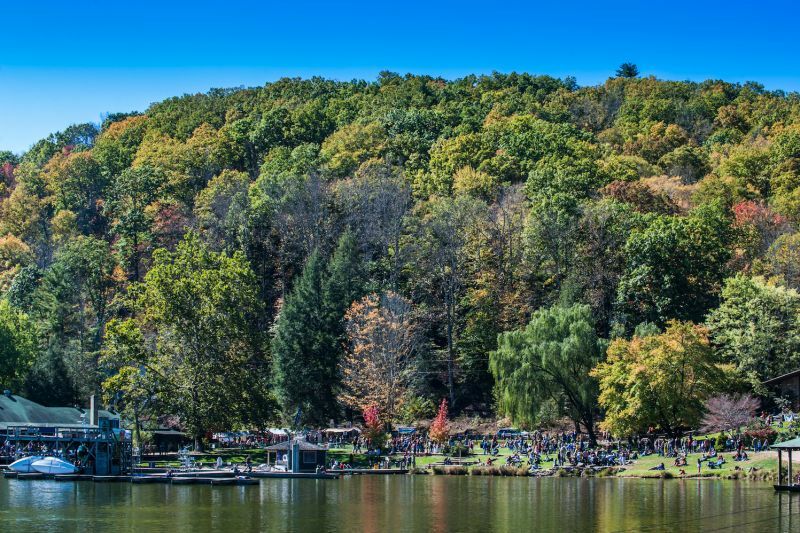 In addition to local growers selling apples, apple cider and dried apples, festival-goers will find more than 425 arts and crafts, 100 food concessions and four music stages. The festival also highlights Appalachian Heritage crafts such as woodcarving, chair making, soap making, pottery throwing and quilting. Visitors see more than art on display at this street festival – they see art being made as painters capture scenes in the picturesque Great Smoky Mountains town. Add music, regional wine and craft beer, North Carolina fare and brilliant foliage to complete the picture. The fun stretches on and on each fall at the state fairgrounds in Raleigh with a Folkfest, grandstand shows, agricultural exhibits and competitions, rides and games, and Kiddieland Fun Park. Raleigh rock band American Aquarium is the primary musician at the Dorton Arena on Oct. 11, and other outdoor stages will have music ranging from folk to rock to reggae. Take a walk – or a paddle – on the wild side along North Carolina’s Outer Banks and inner coastline. Serious birders flock to Wings Over Water for one of the East Coast’s largest concentrations of wintering waterfowl. Photography, painting and videotaping sessions, moonlight paddles and keynote speakers are all part of the adventure. There’s even a chance to visit Alligator River National Wildlife Refuge at night and use spotlights to watch for deer, bear, birds and other wildlife. Soaring for the 45th year, the festival features colorful hot air balloons, mass ascensions, a Saturday night balloon glow, balloon rides, plus such well-grounded pursuits as local wine sampling, craft beer and food, entertainment and children’s activities. It’s where fall festival meets mountain retreat, and it’s been attracting eclectic audiences for decades. There will be three days of outdoor concerts with music from all genres, family adventure villages, and the lodging ranges from cabins to tent camping. It’s all centered around Lake Eden with trees showcasing fall colors and Black Mountain in the background. Here’s our prediction: Fall foliage will be near its peak in Banner Elk when Isabella tiger moths race up 42-inch strings to forecast the severity of the coming winter. We further predict that the 20,000 festivalgoers will delight in the fun, food and mountain setting – regardless of whether their woolly worm wins the race. You never knew who’d show up for one of Edward Teach’s parties on Ocracoke Island in 1718, but you can count on Captain Horatio Sinbad making the scene at this event. Sinbad will invade the pirate encampment at the center of the two-island festival, which features a Scalawag School, tricks-of-the-pirate-trade demonstrations, a sing-along, a three-ship battle and a memorial service near the place where Blackbeard last thrust his sword. Even without the music, craft vendors and other activities, people would flock to the Barbecue Festival, now in its 35th year, which unfolds in a town whose name is synonymous with pit-cooked pork. Organizers are planning for more than 400 exhibitors and some 200,000 visitors who can pig out on festival day and take part in a month’s worth of events. The two-day festival features a parade, carnival rides, a chicken wing cook-off and, most notably, chicken fried in the World’s Largest Frying Pan. There will also be live entertainment from Brad Bradshaw Band, the Fantastic Shakers and Chairman of the Board. 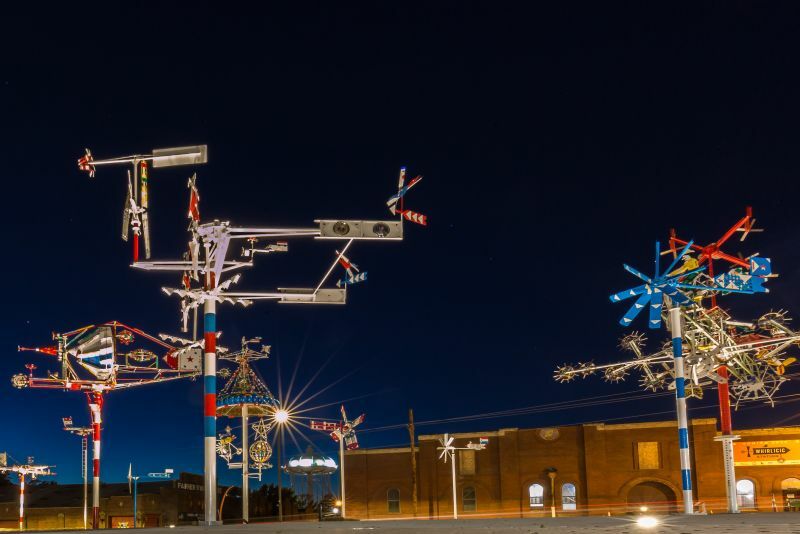 Vollis Simpson turned metal scraps into towering delight with his kinetic, wind-powered whirligigs, displayed at museums in New York, Atlanta, Baltimore and Raleigh. For the full effect, head for the fun of the Wilson Whirligig Festival’s many events, and visit the Windmill Farm to marvel at more than 30 of the whirligigs Simpson designed and constructed on his property before his death at age 94. Discover pottery paradise in the town of Seagrove, where the largest pottery community in the country comes together to sell its wares. The festival features a potters market, auction of signed and dated pottery, demonstrations and food vendors. Rescheduled due to Hurricane Florence, this family-friendly cultural festival is held along Wilmington’s scenic Cape Fear River. The weekend includes about 200 craft and food vendors, entertainment on two stages, crowning of the annual Miss Riverfest, the Invasion of the Pirates, treasure hunt and ball, fireworks, Rowing Regatta, Kidz Zone and more.